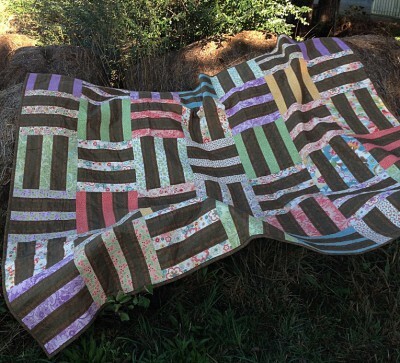 This generous lap quilt will serve so many purposes. 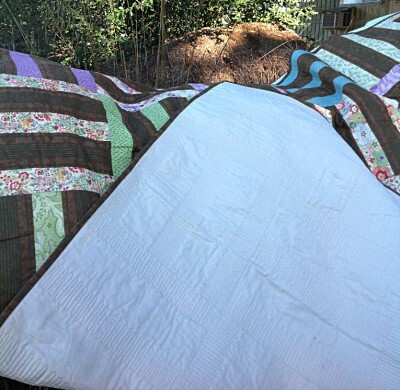 It could be a car/picnic quilt, a lap-for-two quilt, or a big drape over the sofa or daybed. It is not quite twin size, but could do to cover. 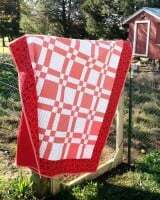 Made in the rail fence pattern with a creative twist of making the brown stripe 'rails' a little wider. To top it off, the quilting is dense in the print 'rails' and open in the brown stripes for softness. 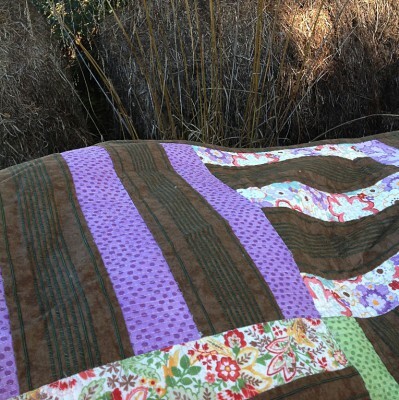 With a creamy backing the quilting really shows off, and makes for a lovely quilt.